My first review! Because this post is written well after I built it, there won’t be much detail in it, but there are photos! I’ve been longing for this set for years, and the wait was worth it. 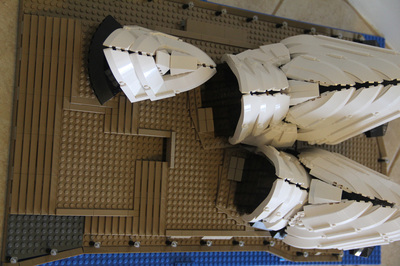 From the start, it looks like a pretty complicated build. 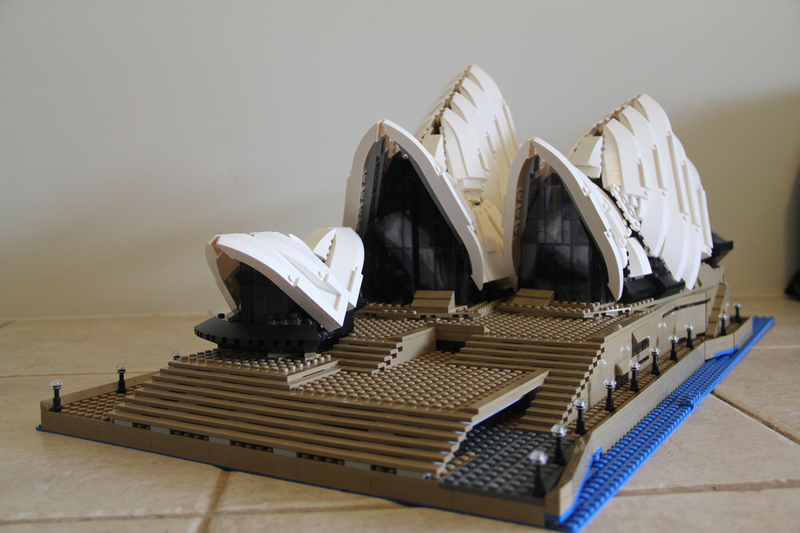 The sails of the Opera House have come out perfectly though, and the way they are put together is genius! I won’t spoil it – build it yourself and see. This set has experienced a bit of a change from the original release. It still has the massive blue 48×48 stud baseplate, but now has another blue baseplate, instead of the dark tan one. Each of the 4 manuals builds one section of the model (2 base sections, the Opera House and the Concert Hall). This monster took my wife and I around 15 hours to build. The level of detail is incredible! The way the stairs look, the sails, and even the lights – this is one excellent build. There were a few bits where I wondered how the designer would get around the issue (the base of the restaurant, the interior of the sails), and I have to say, their methods of problem solving are genius! I’ve actually ordered some LiteUp Blocks to light the interior, but more on that in another post. BricktasticBlog. (2014). 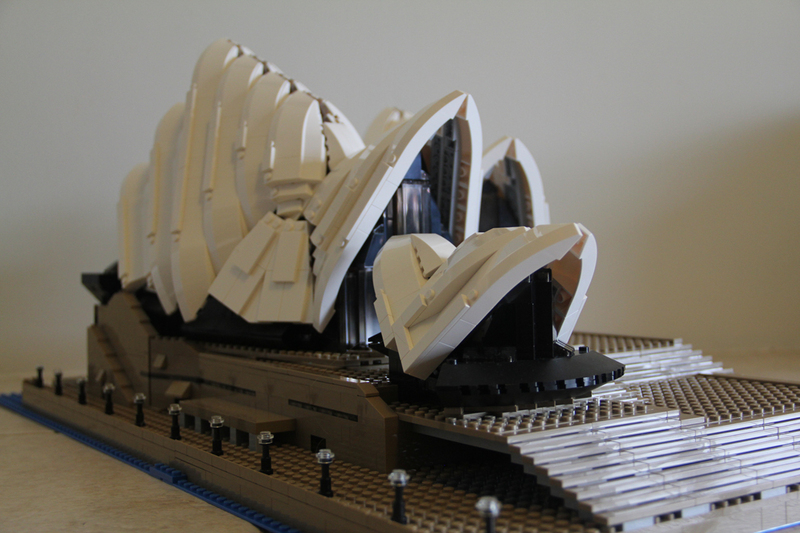 Opera House 1 [Image]. BricktasticBlog. (2014). 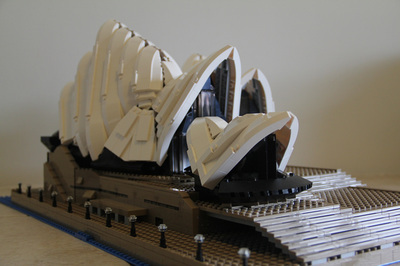 Opera House 2 [Image]. BricktasticBlog. (2014). Opera House 3 [Image]. BricktasticBlog. (2014). 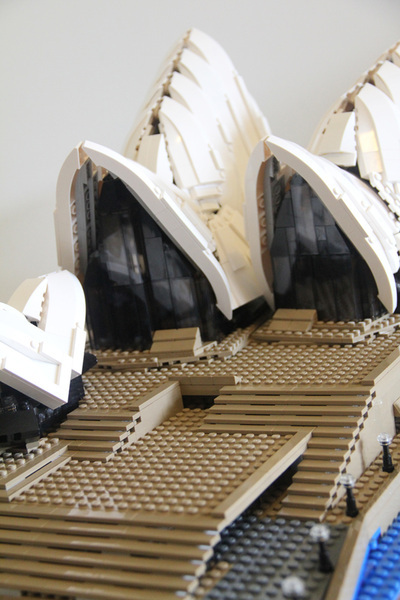 Opera House 4 [Image]. So, that’s it for the first review. Sorry about being so short of details, there will be more in the next one! Speaking of, I’ve just ordered 10244: Fairground Mixer. Lots of colour and minifigures, just for my wife! Stay tuned for that review in early November.